The Shipwreck Society’s Historic U.S. Weather Bureau Building opens for the season in Locks Park, Sault Ste. Marie. The Visitor Gallery and Sales Shop will be available to the public from 10 am to 4 pm daily, 7 days a week, through October 14, 2016. Song of the Lakes will appear at the Whitefish Township Community Center on Friday, May 20, at 7 pm, in the town of Paradise. Admission is free! 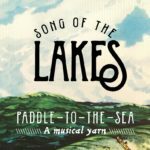 Paddle to the Sea is the latest release from Song of the Lakes. This musical yarn is based on the 20th century masterpiece by Holling Clancy Holling of an adventurous little paddle-man who makes his winding way through the Great Lakes to the salt water sea. Inspired by this tale, Great Lakes troubadours, Song of the Lakes, gathered some years back to trace Paddle’s journey in song. 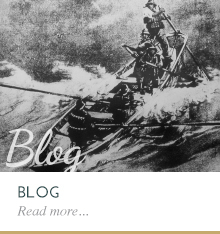 It begins at the headwaters of Lake Superior, twisting and dancing along, carrying stories of people along the way in his battered little wooden canoe touching the hearts of everyone he meets with joy and wonder. 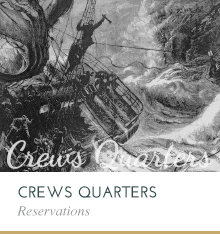 Song of the Lakes has sailed the sweetwater seas, weathered storms and put their sheets to the wind for over 30 years traveling to far away places as ambassadors of the Great Lakes. This group of diverse musicians bonded together by a deeply rooted desire to celebrate the majesty of these precious jewels. This story of journey and transformation is for the young and old alike. Members of the Great Lakes Shipwreck Historical Society are cordially invited to attend the 2016 Annual Meeting and Dinner, to be held on Saturday, June 18, 2016. This annual membership event will take place at the Whitefish Township Community Center, Paradise, Michigan, beginning at 5 pm. The Shipwreck Museum will host historian Caitlyn Perry Dial as she tells the story of the steamer Eastland. 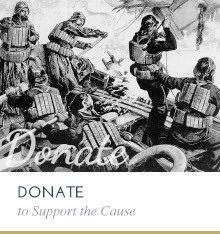 Dial, Museum Educator for the Michigan Women’s Historical Center and Hall of Fame, has extensively researched the tragic sinking of the Eastland, which accounted for the greatest loss of life in a single shipwreck on the Great Lakes. 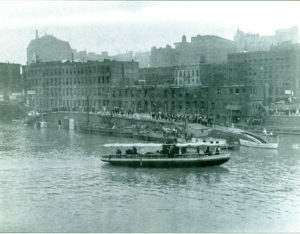 On Saturday, July 25, 1915, the doomed ship capsized at 6:53 am in the peaceful but murky Chicago River, right between Clark and LaSalle Streets, immediately drowning 835 men, women, and children who had signed up for a pleasant cross-lake excursion sponsored by the Western Electric Company. It was such an unspeakable tragedy that the City of Chicago refused to acknowledge the location with any type of historical marker for nearly 100 years. 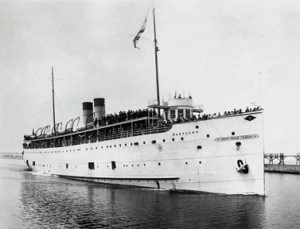 Ironically, the haunted Eastland was raised and used again by the Navy as the training vessel USS Wilmette. Please come to the Know Your Ships book signing/program at the Whitefish Township Community Center, Paradise, Michigan, at 7:00 pm. 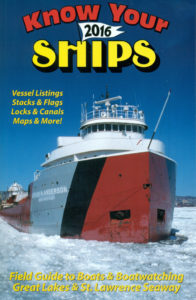 Roger LeLeivre, Editor/Publisher of the popular annual publication,Know Your Ships, will present the making of this book through the years and share numerous Great Lakes shipping images. Know Your Ships book signing with Roger LeLievre at the Great Lakes Shipwreck Museum, Shipwreck Coast Museum Store, Whitefish Point from 11:00 am to 3:00 pm. Frank Mays, survivor of the tragic 1958 sinking of the Carl D. Bradley will sign his book, If We Make It ’till Daylight at the Shipwreck Coast Museum Store, Whitefish Point. Frank will appear each day from 11:00 am to 3:oo pm. 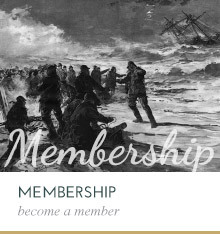 Frank is one of the most fascinating individuals ever known to the Shipwreck Society. At left: Development Officer Sean Ley with Bradley survivor Franks Mays in front of the Bradley exhibit in Shipwreck Museum. Frank Mays will present a program on the sinking of the Carl D. Bradley at 7:00 pm in the Shipwreck Museum Gallery. 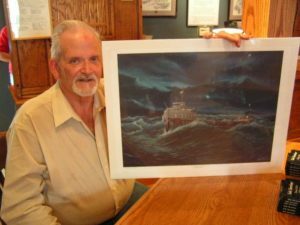 Frank was a 26-year old Watchman on November 18, 1958, when the Bradley broke in half during a terrible afternoon gale on Lake Michigan, near Gull Island. 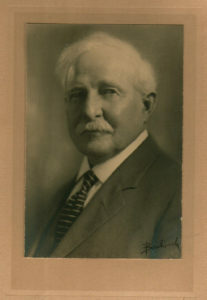 Only he and First Mate Elmer Fleming lived to tell the story of the ship’s loss. They were rescued, close to death, the next morning by Capt. Harold Muth and the U.S. Coast Guard cutter Sundew out of Charlevoix, Michigan – thanks to Fleming’s very brief, but clearly desperate, radio call for help as the ship went down. 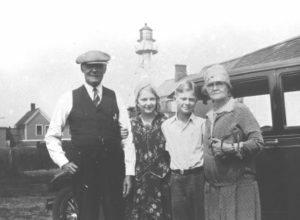 You will really enjoy the Waugoshance Shoal Lighthouse program with Terry Pepper, Executive Director of the Great Lakes Lighthouse Keepers Association, at the Whitefish Township Community Center, Paradise, Michigan, at 7:00 pm. 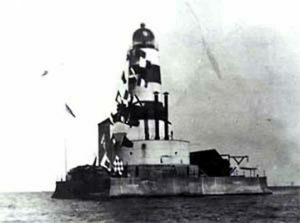 Hear the stories of this famous light, still standing at Greys Reef Passage in northern Lake Michigan – and ask Terry if it is true that one of the Lightkeepers, on a cold, dark night, chased his assistant to the lantern room, where the assistant locked him out for fear of his life – and then disappeared forever. Author John Kotzian will sign his book, “Sky Pilot of the Great Lakes,” at the Whitefish Township Community Center, Paradise, Michigan, at 7:00 pm. “Sky Pilot” was the Great Lakes Sailors’ slang for a Chaplain. The Reverend William H. Law found himself in great peril one day and was rescued by the U.S. Life-Saving Service. As a result, seeing their heroic efforts first hand, Reverend Law dedicated the rest of his life to the men and women of the USLSS. Whether it was bringing his “Floating Library” to selected stations, regular correspondence with the crews of remote stations, or his relentless pursuit of Congrtess to approved a bill providing better pay and pensions, Reverend Law became a fast friend of those in the Life-Saving Service. Law’s story is a tale of unconquerable optimism in the face of incredible hardships on the Great Lakes, and the triumph of the human spirit. Author John Kotzian will sign his book, “Sky Pilot of the Great Lakes” at the Shipwreck Museum, Shipwreck Coast Museum Store, Whitefish Point, from 11:00 am to 3:00 pm. 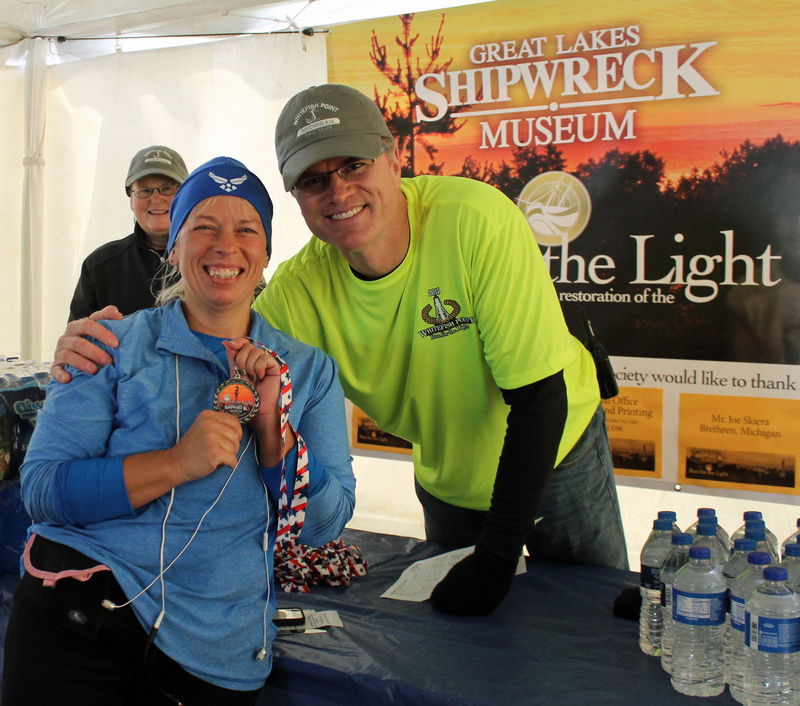 The Sixth Annual Whitefish Point: Run for the Light 5k / 10 k/ Half-Marathon at Whitefish Point. This is a fundraiser for ongoing historic preservation efforts at the historic Whitefish Point Light Station. The Whitefish Point Lighthouse is the oldest fully-commissioned light on Lake Superior, in continuous operation since 1861. Down load a registration form today! Annual Edmund Fitzgerald Memorial Ceremony, in the Main Gallery of the Great Lakes Shipwreck Museum, Whitefish Point. Doors will open at 6:30 pm, ceremony begins at 7:00 pm. Admission free to the public. The Great Lakes Shipwreck Historical Society and the Thunder Bay National Marine Sanctuary will remember the sinking of the 600′ freighter, Daniel J. Morrell, on the evening of Tuesday, November 29, 2016. This memorial event will take place at the Thunder Bay National Marine Sanctuary in Alpena at 6:30pm and admission is free. 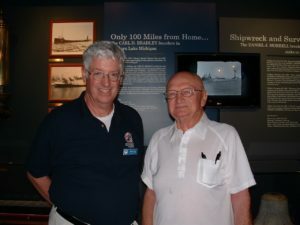 Many of our Shipwreck Museum guests will remember Dennis Hale, whom visited Whitefish Point on numerous occasions through the years and was the sole survivor of the ship’s sinking. Mr. Hale and his fellow Morrell crew-members will be remembered during this special program. Ric Mixter, Great Lakes maritime historian and author will be the keynote speaker for the event. Please call the GLSHS offices at 800-635-1742 for more information. Please consider joining us for this special event and Happy Thanksgiving!